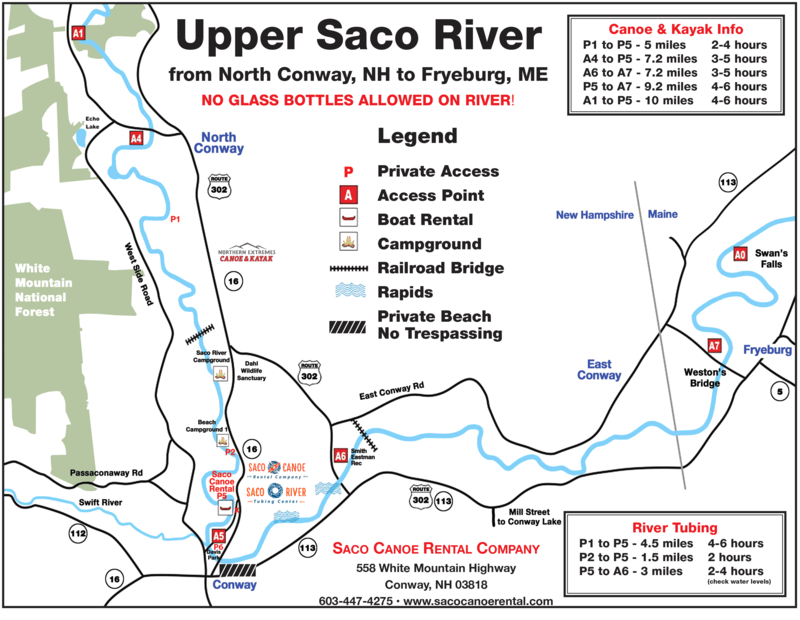 The Saco River’s crystal clear waters and wide sandy beaches make for some excellent paddling. Each summer families and friends discover the beauty of camping along the sandy beaches of the Saco. So pack your sleeping bag and cooler and come discover the outdoors. Summer reservations are strongly recommended! All rentals Include: Canoe, paddles and lifevest. Northern Extremes operates a full shuttle service to transport your gear to and from the river. Our shuttles run continuously so there is little waiting. The Saco River is the jewel of the Mt Washington Valley. Its crystal clear meandering waters, long sandy beaches, rope swings and breath taking White Mountain Views makes it a vacation must. Kayaking is the perfect family activity: fun, easy and affordable. Come see why kayaking is the fastest growing summer activity. Every summer we introduce hundreds of families to the sport of kayaking, with ages ranging from 6-75. No previous watercraft experience is necessary. Water averages just 3 feet deep. All rentals include: Kayak, Paddle and life vest. Each summer hundreds of people head to the Saco for a day of tubing. 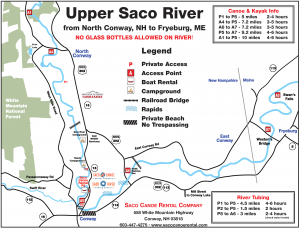 The Saco River can be classified as the original “lazy river”, long stretches of meandering water with some short sections of small rapids. It is the perfect way to spend a hazy, hot summer day. So pack a cooler with your favorite food & beverage and head to the river. Along the way you will find rope swings and sandy beaches. Don’t forget to bring plenty of suntan lotion. Northern Extremes has a 3 mile tubing trip that takes 2-4 hours to its private 12 acre beach. Should be best tubing run in Mt Washington Valley! All rentals include tube and lifevest, transportation & insurance. We also have inflatable coolers, inflatable toys, dry bags and everything else you might need to insure that you have a safe and fun experience on your trip.